Kristian Rouz — The decline in the market for government bonds that commenced the day after Donald Trump's victory, halted in Thursday's trading as the Bank of Japan (BoJ) imposed a yield control policy in order to protect the ultra-accommodative monetary environment in Japan. The BoJ's current stimulus package includes, among other things, a negative interest rates policy (NIRP), and the continuous bond selloff had been pushing debt yields higher. This in turn has been putting upward pressure on natural interest rates worldwide, including in Japan. The BoJ's yield control has resulted in the stabilisation of governmental bond value across the globe, and the weakening of the US. 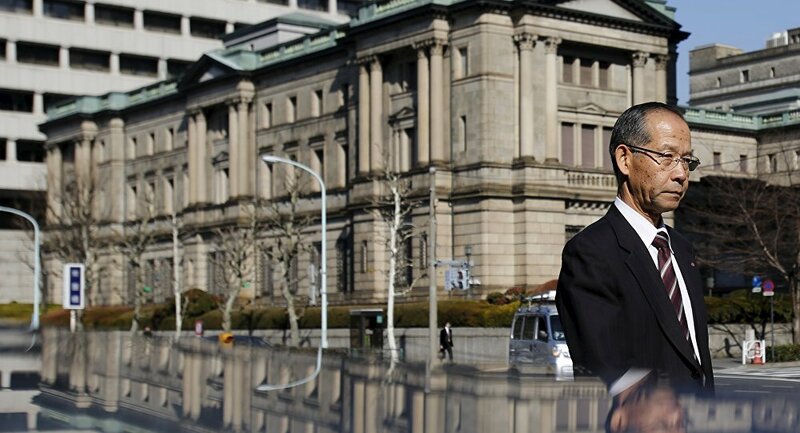 The BoJ's yield control, announced on Thursday, involves the central bank promising to buy out an indefinite volume of bonds at a fixed yield. Japan's monetary authority can afford this due to the yen's double status as one of the world's five reserve currencies and haven asset status, meaning such radical decisions would have a negligible negative impact on the yen's FX rate stability. The bonds rebounded slightly, and investors are awaiting the US Federal Reserve Chair Janet Yellen to announce her vision of monetary policies in the US taking into account the substantial changes that Trump election has brought on to the US and international markets. "The momentum of the Trump rally (in debt yields and the US dollar) has faded a bit so we are all trying to recover," Philip Marey of Rabobank said. "Today the interesting things are a speech from Janet Yellen and whether there is anything new there. There's also (US) inflation data, so if they don't have any negative surprises we are heading for a rate hike." The selloff in Japanese governmental bonds lasted five days prior to the BoJ's announcement. Australian bonds, Deutsche Bunds and US Treasuries have all gained in value subsequently, along with Japanese debt, and the euro strengthened after a nine-day retreat, whilst the dollar retreated from a nine-month high. The BoJ's move, however, albeit eliminating the nascent threat to the monetary policy stability in Japan, has jeopardised the case for a December rate hike in the US. The 10-year Treasury yield slipped to 2.19pc from 2.22pc, suggesting the natural interest rate in the US is exposed to international headwinds. The Fed's base borrowing costs are currently set within the gauge of 0.25-0.5pc, still way below the benchmark yield, causing anxiety amongst savers, small bankers, and Main Street investors — the ones that allegedly got Trump elected in the first place. "From the BOJ operation, it looks like it's a firmer cap on yields than was previously being expected, so that's supportive for fixed-income globally," Peter Chatwell of London-based Mizuho International Plc said. "It means that the other markets can trade with a bit less of downside risk, or downside fear." US futures markets are firmly anticipating a hike in borrowing costs in December. Yet, the BoJ's yield control is likely to demonstrate the international central banks' level of tolerance to the rise of the US borrowing costs. With natural and central bank interest rates advancing quicker in the US than in Europe or Japan, the disinvestment concern and discrepancies in capital flows might trigger a more decisive reaction from the European Central Bank (ECB) or the BoJ. That said, the Fed's Yellen may be more cautious in her rhetoric during Thursday's congressional testimony. "It's a surprise that the BOJ took action today," Souichi Takeyama of Tokyo-based SMBC Nikko Securities Inc. "Markets won't test levels above these fixed rates as these will be seen as reflecting the BOJ's upper limit." The BoJ's yield control will be executed via two operations, the first to purchase two-year bonds at minus 0.09pc, the other one to buy five-year securities at minus 0.04pc. Prior to the BoJ's announcement, the Japanese yields have not broken through the ceiling in the open market, having gained only 0.18pc in the days after Trump's election to minus 0.095pc. "The aim is to send a warning to markets about a significant surge in rates," Keiko Onogi of Tokyo-based Daiwa Securities Co. said. Trumponomics: ‘Shock Therapy’ for US Economy? Even though the bond markets have stabilised after having lost roughly $1.2 trln in value after Trump's election, the US Fed and Trump's team of economic advisors have the next move. The goal that Trump's team has reiterated recently is to have higher interest rates in the US, and they seem adamant in their commitment to achieve it. International central banks might substantially initiate action to counter the US' unilateral moves to reach monetary normality, sending global financial markets in an extended period of higher volatility and struggle to control capital flows.